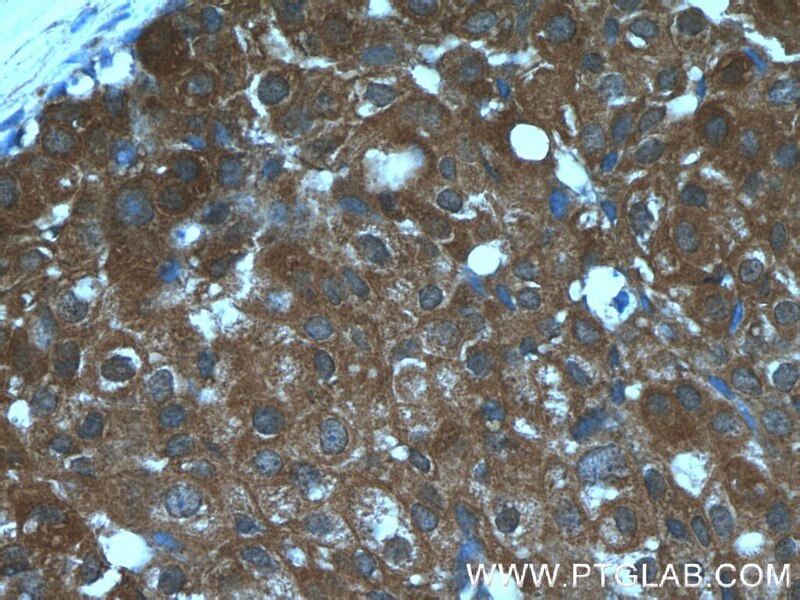 Immunohistochemical analysis of paraffin-embedded human breast cancer tissue slide using 22306-1-AP( CCL24/Eotaxin 2 antibody at dilution of 1:200 (under 10x lens). heat mediated antigen retrieved with Tris-EDTA buffer(pH9). 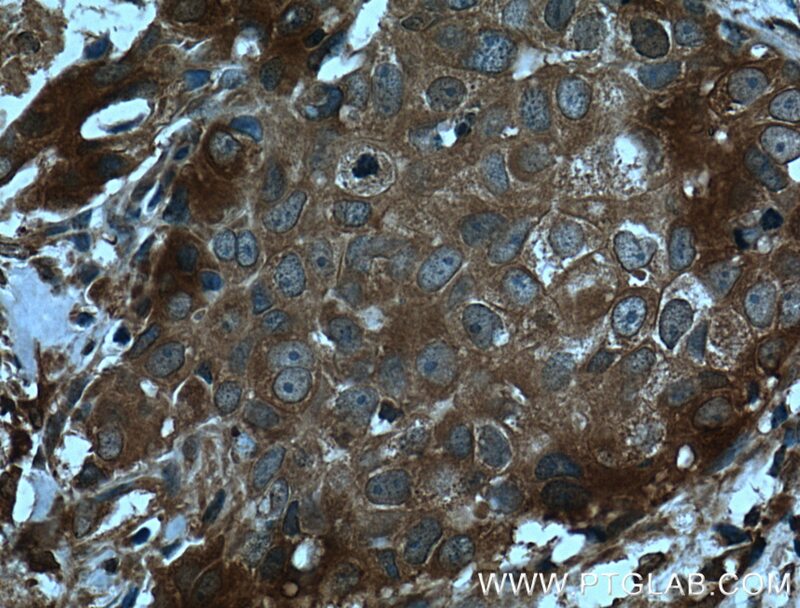 Immunohistochemical analysis of paraffin-embedded human breast cancer tissue slide using 22306-1-AP( CCL24/Eotaxin 2 antibody at dilution of 1:200 (under 40x lens). heat mediated antigen retrieved with Tris-EDTA buffer(pH9). Chemokine CCL24 is the second member of eotaxins, a group of eosinophils’ selectively chemoattractants. 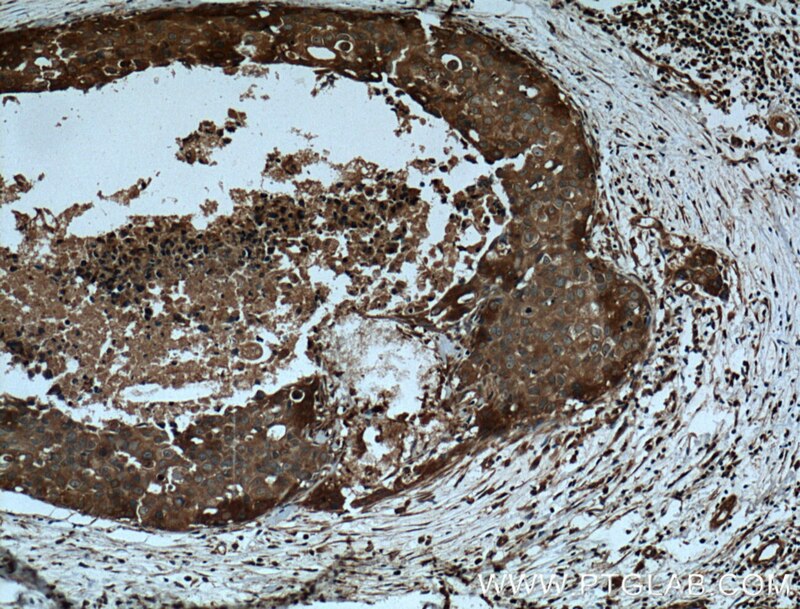 CCL24 is constitutively expressed in fibroblasts, epithelial cells, macrophages. 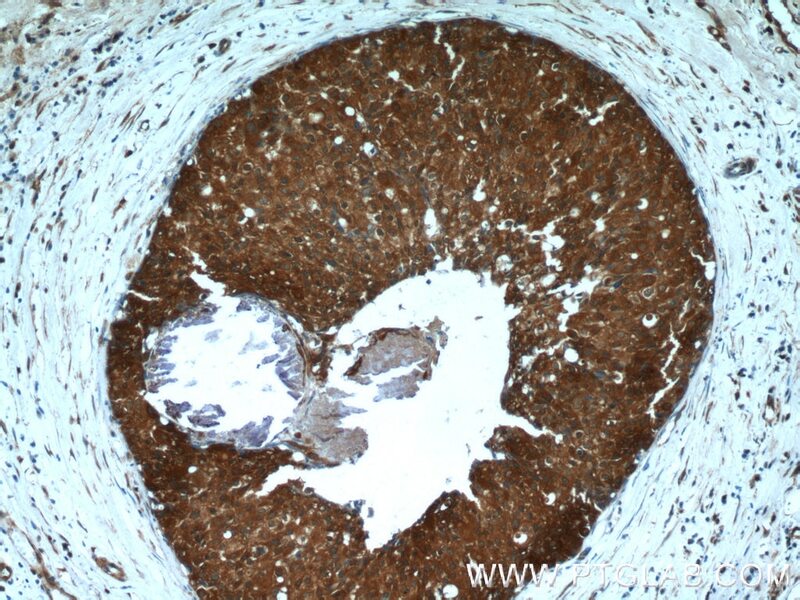 CCL24 has only one receptor CCR3, which mainly presents on eosinophils and was also found on basophils, monocytes, Th2 lymphocytes, epithelial cells and airway smooth muscles. CCL24 displays chemotactic activity on resting T lymphocytes, a minimal activity on neutrophils, and is negative on monocytes and activated T lymphocytes.